Vimeo is a leading online video platform with more than 240 million visitors per month. We recently launched Vimeo Live and acquired the Brooklyn-based company Livestream, the leading global provider of live video solutions. With the addition of Livestream's powerful technology, Vimeo offers the most complete video workflow on the market for businesses, organizations, and professional creators. 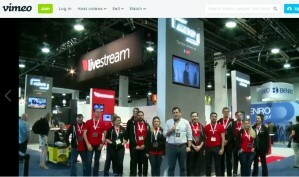 As a Lead RF Design Engineer, you will focus on improving and optimizing wireless performance as well as architecting and designing future products in the suite for our recently launched 'Mevo' live streaming / live editing camera (getmevo.com). You will be joining a world-class multi-disciplinary engineering team with offices in Brooklyn (electrical and mechanical) and Ukraine (software and firmware). You’ll be leading the design and work with electrical, mechanical, and industry design teams to optimize product performance and customer experience. You should have experience designing RF sub-system from concept to mass production. You should be self-motivated, highly organized, and passionate about RF and the underlying technologies.